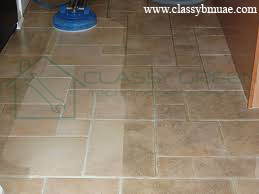 At Classy Green Technical Services LLC, we provide polishing and restoration services for granite, terrazzo, Marble. Be it dull or white spots, scratches, chips or cracks that plague these surfaces, Classy Green can help to restore your stone or tile’s former glory. 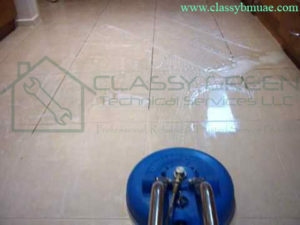 We also provide deep cleaning services for Ceramic/Porcelain Tiles and Grouting Services in Dubai, UAE. We specialize in a complete range of services — cleaning, polishing, restoration, sealing and maintenance. 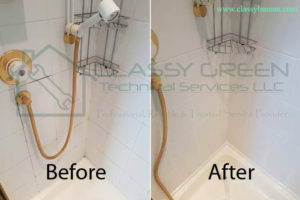 So whatever your stone or tile problems are, Classy Green is here to solve them effectively and professionally. Floor Cleaning Service not only looks great for your home and industrial properties, it is also durable and resists against bacteria breeding. Revive your floors to their original beauty with our Floor Cleaning Service Dubai. Deep floor cleaning with our professional scrubbing, buffing and polishing machines coupled with leading cleaning products that remove more dirt and particulate dust than any other method. Depending on the type of floor, suitable products, procedures and solutions are used so that better and satisfactory results are achieved. Removing dirt, waxes and grit from the core of all types of floors especially marble is what we do the best. One of deep cleaning service is perfect for “scrub-up” of your floor when you want it sparkling clean. We will deep clean each area from left to right, top to bottom, so no detail is overlooked using our equipment.